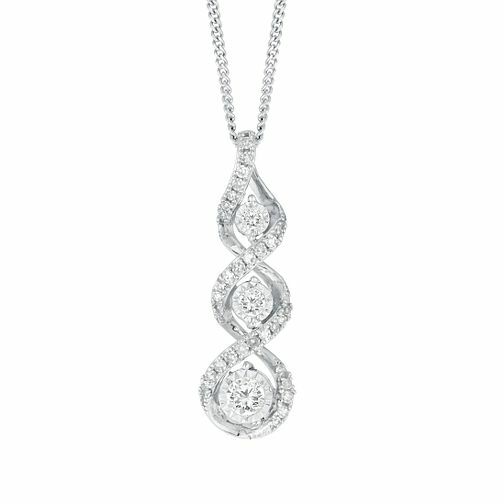 Featuring gorgeous sparkling diamonds twisted around April birthstones, this 9ct white gold pendant is a striking jewellery piece. Its beauty is showcased in the prominent twist trilogy outline. A striking jewellery piece with gorgeous sparkling diamonds.